X Factor UK star Jaymi Hensley has revealed he is gay. 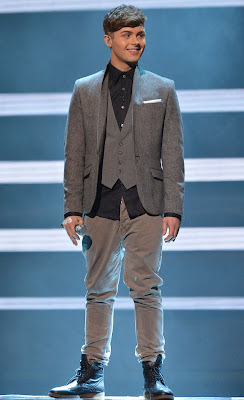 The singer, who is a member of boyband Union J, is advised by mentor Louis Walsh while competing in the competition and said his mentor inspired him to come out. Jaymi, 22, said “I spoke to Louis about this and he said, ‘Put it this way, both of my big boybands had a gay member in them.’ So he said it fits the formula quite well! His bandmates — Josh Cuthbert, George Shelley and Jamie “JJ” Hamblett — have known since Union J were formed for this year’s X Factor and are fully behind his decision. He said: “They have always supported me with doing this. Jaymi also doesn’t believe his decision will have a negative affect on the band. 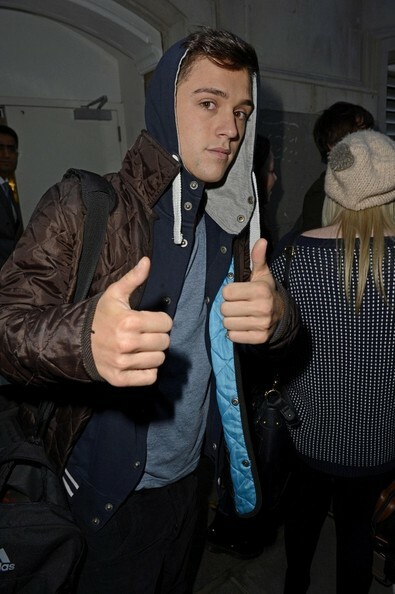 He said: “I’d love my career to take off to the heights of One Direction. The 22-year-old, who lives in Luton with his mum, Jackie, has been in a relationship with his boyfriend, 21, for three years. He declined to name his boyfriend, who is a hairdresser, but revealed the pair plan to marry and have kids. Jaymi decided to come out as he wanted to be honest with the X Factor viewers who have supported him and the band. In an exclusive interview, he said: “I came on to the show not wanting to be judged for my personal life. “But people have caught wind of it and I just wanted to set the record straight. It is not a big thing for me — I came out when I was 14 to my family and friends and never had one piece of negativity. “It is a brave move. There could be negative people, but they are just sad and stuck 20 years ago. “I hope the reaction will hopefully be, ‘OK, we kind of knew, but well done on coming out’. 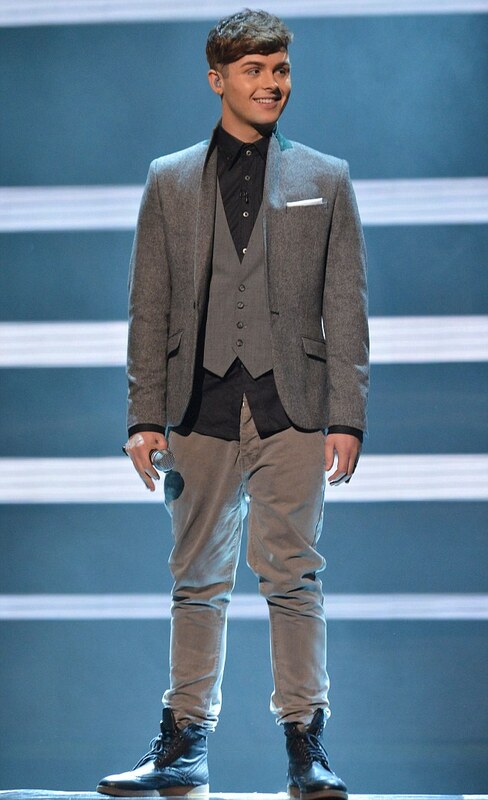 Jaymi is not the only openly gay singer on this year’s show — joining Rylan Clark, Lucy Spraggan and Jade Ellis. But he was inspired to make his revelation after a young fan got in touch and he hopes it will help other young people struggling with their sexuality. He says: “I got a tweet from a boy who must have been 13 or 14 asking if the rumours that I was gay were true. “He said he really wished I could be out because he didn’t have anyone to look up to and was finding it really hard to fit in and tell his parents. “I was that kid at 14 and really wish I had someone to say it was OK to be pictured on the red carpet with a guy and be gay in a boyband. “The X Factor is such a great show to show that — you’ve got such a great range of characters, especially Rylan who is so open. “It was like if he can do it, why can’t I? 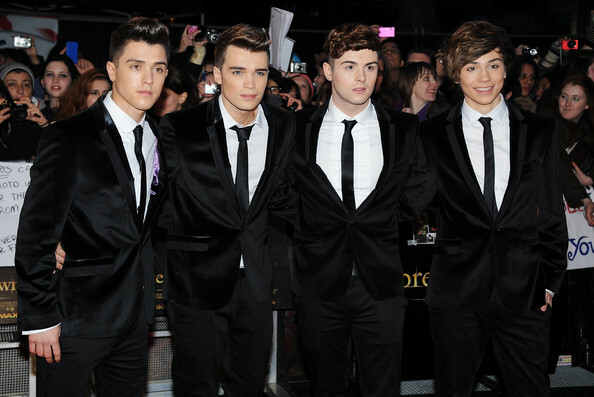 Watch Union J sing a Leona Lewis/James Morrison mash-up on X-Factor UK.